Native to Eastern North America, this beautiful herb became a popular tea substitute in the States after the Boston tea party. Flowers can be eaten in salads; leaves are used for tea. Excellent bee plant, invertebrate shelter & wildlife food. 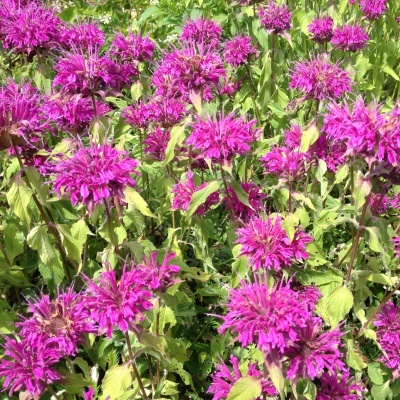 Native tribes used Bergamot as a cold remedy.